Attention-deficit/hyperactivity disorder (ADHD) is a mental illness. It is characterized by endless patterns the patient wandering off the task or continuous fidgeting. The lack of attention and impulsivity whereby one makes quick actions, which happens even without thinking. Also, the patient tends to interrupt others as they make crucial decisions. It can be present in some people with neurological disorders occurring either before or after birth. Neurological disorders are diseases of the brain, spine and the nerves that connect them such as brain tumors, epilepsy, Parkinson's disease, and stroke. Another cause can be dietary factors. This occurs especially to individuals who suffer from malnutrition or who follow a nutrient-poor diet. In a small subgroup, dietary factors for example use of preservatives may play a role. ADHD can be genetically inherited in nearly 80% of cases. It has a genetic factor and a group of related genes that have been recognized. The genetic factor is established with epidemiological studies targeting family groups. Research shows that, in cases of identical twins, there's an almost 100% chance that, if one of the twins has ADHD, the other twin will show symptoms too. Environmental factors also lead to the disorder. Some of the factors that may play a role in causing ADHD are smoking during pregnancy, pregnancy and birth complications, low birth weight and poisoning with heavy metals like lead. Certain developmental disorders or syndromes like fetal alcohol syndrome are associated with an advanced occurrence. 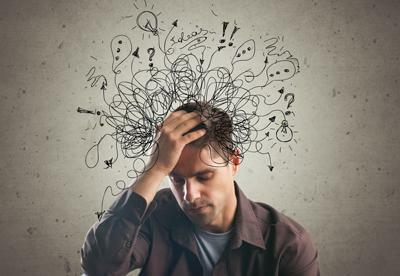 A person suffering from ADHD tends not to follow instructions and fails to for example finish chores, schoolwork or duties in the workplace because of an oppositional behavior or failure to understand instructions. Patients, in most cases, do not give much attention to important details and often make preventable mistakes either when doing class work or schoolwork. They procrastinate and skip details. People with ADHD often are unable to play or engage in leisure activities quietly. They also tend to interrupt or intrude on others. For example, jump into conversations, games may start using other people's things without asking or receiving permission from them. For adolescents and adults, they may intrude into or take over what others are doing. Disliking, or been unwilling to involve themselves in activities that need constant mental effort for their homework and schoolwork is also a symptom to show that a person is suffering from ADHD. For victims that are adults, they tend to find it hard to completing forms, reviewing lengthy papers and preparing reports. Some patients tend to often run about or climb in situations where it is inappropriate. For adults, they tend to be restless. Talking excessively is also a symptom with some people. Some people with ADHD may tend to be uncomfortable being still for an extended time, for example in a restaurant or in a meeting. Stimulant medications are commonly prescribed for Attention Deficit Hyperactivity Disorder. This stimulant may include methylphenidate (Ritalin, Concerta, Metadate, Methylin) and certain amphetamines (Dexedrine, Dextrostat, Adderall). Stimulant drugs are often beneficial in curbing ADHD and helping the individual to focus, work, and learn. Sometimes the drugs will also help with coordination problems which may hinder sports and handwriting. If you or a loved one are suffering, call us at 716-886-5493 or Contact Us Today.